With dense woodland, fairy-tale castles and a fascinating history encompassing everything from fine art to classical music, Germany is not just one of Europe’s most important countries, it’s one of its most beautiful. If you’re looking for car rental in Germany, browse our car collections where you’ll find everything from family vehicles to prestige models that are ideal for business trips. We have pick-up points spread throughout the country, from Munich in the south to Frankfurt and Berlin, to make your German adventure as convenient as possible. 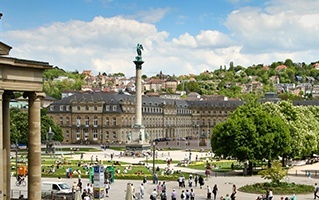 Situated in the heart of continental Europe, Germany offers both contemporary and historic attractions. Explore the artsy cool of East Berlin or the grand royal palaces of Potsdam, which have UNESCO World Heritage status. Medieval castles cast their spell over wooded valleys, while German fare is hearty and generous. 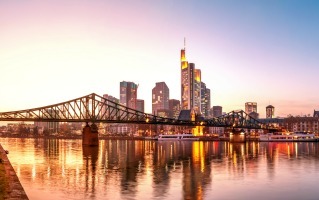 If you’re seeking a city break in a thriving metropolis, or to wander quaint streets which tell a story of times gone by – you’ll find it all in Germany. For a mix of the historical with a thoroughly cosmopolitan twist, head to the dynamic city of Berlin. Visit the Reichstag, home of the German parliament, to see the fusion of futuristic and classical architecture which perfectly embodies Berlin’s dual identity. A testament to the city’s tenacity, the building was painstakingly restored after suffering a fire in 1933 and bomb damage in World War II. For panoramic views of Berlin, make your way to the glass domed centre of the building. You’ll need to book ahead, but it’s worth it to stand in the igloo-like structure and gaze out at the beauty of Berlin. Soak up the city’s cultural side and wind your way through East Berlin. 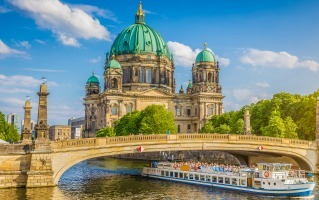 Stop by cool cafes for a bite to eat and then spend some time perusing the famed East Side Gallery. This 1.3km stretch of the Berlin Wall is a reminder of the city’s tumultuous past, but has been reclaimed as a canvas of artistic expression. Discover bright murals, political statements and a pervading sense of positivity in the riot of graffiti adorning the brick. 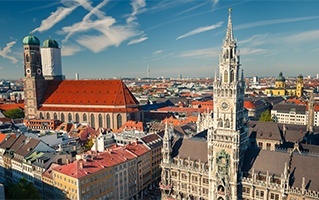 The major southern city of Munich has a selection of guided tours which unlock the city’s fascinating history. Visit Marienplatz central square and its majestic Gothic-style buildings. You’ll find a crowd gathering around the iconic ‘Glockenspiel’ for its performance, three times a day. Or, if you’re a car enthusiast, get your fill of classic German engineering at the BMW museum. Dresden in the east is strikingly beautiful. As you wander its well-kept streets, you’ll find it hard to believe the city was almost totally destroyed at the end of World War II. Marvel at the baroque styling of the expansive Zwinger Palace, built in the early 18th century. Roam the serene manicured gardens then step inside to discover a treasure trove of art and historical artefacts at three magnificent museums. The Gemäldegalerie is a firm favourite – study masterpieces such Raphael’s Sistine Madonna in the main hall – with its famous leaning cherubim – and the Dresden Triptych by Jan van Eyck. Hit the open road in your rental car and add a series of day trips to your itinerary. Neuschwanstein Castle is just under two hours away from Munich via the A95, B23 and B17 roads. The stunning woodlands surrounding it are as much of an attraction as the main event itself. Built as a homage to the composer Richard Wagner, it served as the inspiration for Sleeping Beauty’s castle at Disneyland in the USA. Offering a change of pace from vibrant Berlin, follow the A115 to majestic Potsdam. The city is brimming with classic architecture and pristine green spaces. Seek out the elegant Sanssouci Palace, the UNESCO-listed 18th-century former residence of King Friedrich II. It boasts impeccable baroque beauty and sculptures dotted along the façade. Wander through the expansive Sanssouci Park and you’ll find spectacular rococo and Italianate-style buildings decorating the landscape. Each region of Germany has its own twist or specialty when it comes to food. From the hearty Nurnberger Rostbratwurst sausage in the Franconian region, to comforting Reibekuchen potato cakes from the street stalls of Cologne, they’re proud of what makes their cuisine unique. Germany’s renowned autobahns offer quick, convenient access to every part of the country. The country’s road network is perfectly maintained, easy to navigate and makes for a scenic drive in many parts. From the alpine road in Bavaria where you can see the snow-topped Alps, to the A5 which runs past the mysterious Black Forest, the roads aren’t just efficient, in many places they lead you through scenery that is truly majestic. The A9 runs down the eastern flank of the country connecting the two preeminent cities of Berlin and Munich, with Leipzig and Nuremburg in-between. If you’re in Stuttgart in the southwest, you can go for a day exploring the Black Forest via the A81, which has a variety of feeder roads into the forest. Breathe in the crisp, fresh air while gazing out at sweeping ravines and the expansive Rhine Plain. The capital, Berlin, offers fast access to Hamburg, via the A24, and Dresden via the A13. The speed limit in built-up areas is 50km/h. Outside of built-up areas, it’s 100km/h. On both dual carriageways and autobahns, the recommended maximum speed is 130km/h. Some sections of the autobahn have a slightly lower speed limit, whereas some rural sections have no limit at all – but either way, they’re well sign-posted. Like other countries in mainland Europe, you drive on the right side of the road in Germany. There are currently no toll roads apart from the Herren and Warnow tunnels. The German government is currently discussing a possible toll system for foreign drivers who want to access the autobahn system. But this isn’t expected to be introduced until 2019 at the earliest. The Black Forest has a variety of hiking trails with traditional inns dotted along the way, serving what’s known locally as the farmer’s plate. Tuck into a smorgasbord of local meats, cheese, bread and pickles to get an authentic taste of regional fare. With the northern coast meeting both the North and the Baltic Sea, fish plays a prominent role in the local offerings. Try the classic Hamburg treat of a pickled Herring sandwich. Bite into a mix of sweet onions, sharp pickles and a smooth, creamy sauce or, if that’s not your thing, well, you are in the birthplace of the hamburger. The country’s staple delicacy, bratwurst, is available in a wide variety of flavours and meats all around the country. Eat it in the traditional way – wrapped in crusty bread and slathered in sweet German mustard. 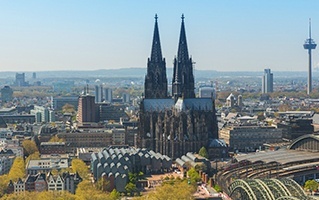 You can see it all, taste it all and explore it all when you travel around this varied country with car hire in Germany.